Susan Wornick Honored at MGH One Hundred For Her Work with ESSCO-MGH! 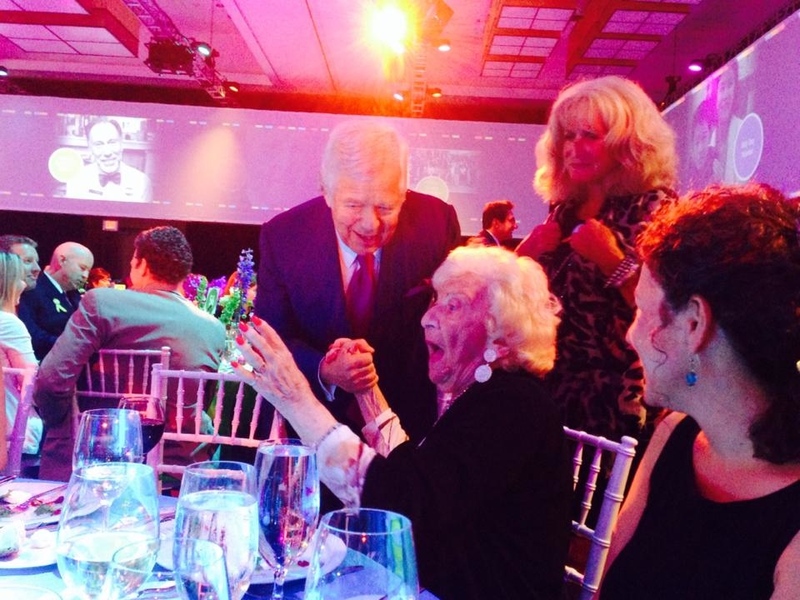 Robert Kraft congratulates Susan Wornick’s Mother, Myrna, on Susan’s award as one of the MGH One Hundred. We were thrilled to attend the MGH One Hundred dinner at the Westin Waterfront Hotel in Boston to celebrate Susan Wornick’s award as a member of the MGH One Hundred. Susan Has worked tirelessly for so many charitable organizations in New England, but holds a special place in our hearts for the enthusiastic work she has done on behalf of our fund. This year Susan will take the helm of our 19th Annual Benfit, Cards For A Cure. The event will be held at the Pine Brook Country Club in Weston, MA, on Thursday, October 23rd. For more information, contact Missy Cohen-Fyffe at mcfyffe1@comcast.net.